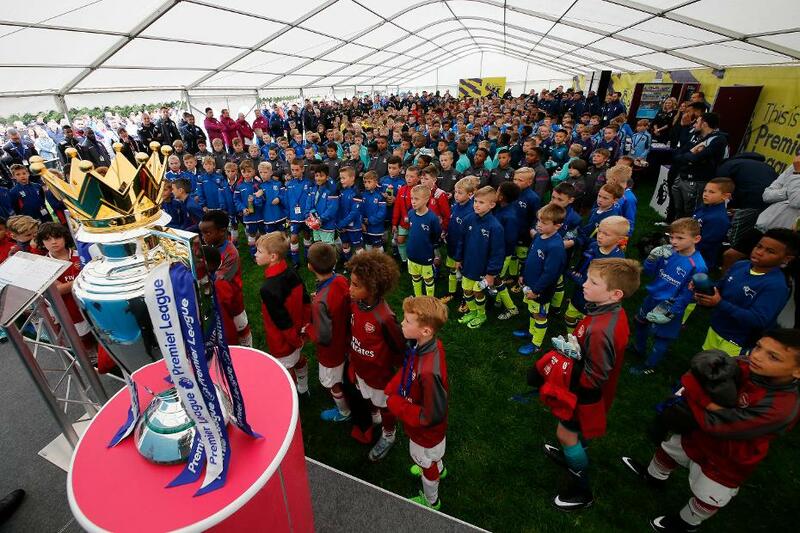 The first step towards Premier League football will be taken by more than 500 boys this weekend as they begin their PL journey with the Under-9 Welcome Festival in Warwick on Sunday. It is the first tournament in the Premier League Games Programme, which goes all the way up to Under-23 level. The event will introduce the participants to competitive football involving the country's best teams as well as players from different backgrounds, all in a fun and friendly environment. Boys from 19 PL clubs, as well as 10 Category One Academies outside the top flight, will travel to Warwick, in the West Midlands. There they will stay overnight, away from their parents. For many this will be their first experience to do so. Playing seven-a-side, 10-minute matches against top Premier League clubs from outside their region will also be a new experience. The boys will look to emulate Premier League players such as Phil Foden and Ryan Sessegnon, who have worked their way through the Games Programme. The focus of the U9 Welcome Festival is to create an environment for the players that is fun, inspiring, engaging, informative and inclusive.